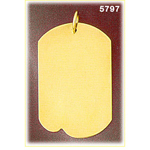 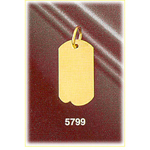 For a chic sense of style this 14k gold custom engravable dog tag charm is simply irresistible. Polished 14k gold is stunning and perfect for adding your own personalized engraving in your choice of lettering for a custom touch. 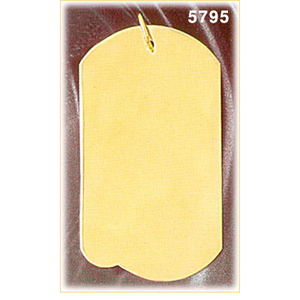 Take the look one step further by having your custom engravable dog tag charm adorned with your birthstone. 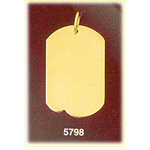 Pendant is crafted in 14k yellow gold featuring a polished finish with flat back, it measures approximately (24mm - 1") in width by (44mm - 1 3/4") in height and weighs 5.9 grams, it is recommended for necklaces.